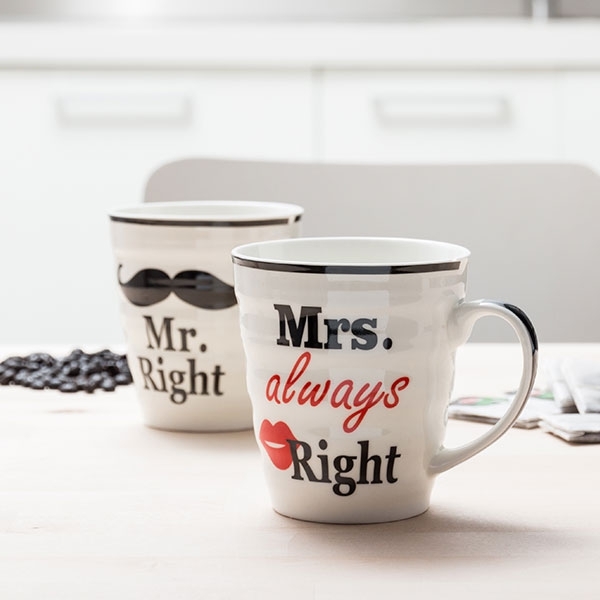 A fun gift to bring a smile to the happy couple or your partner! 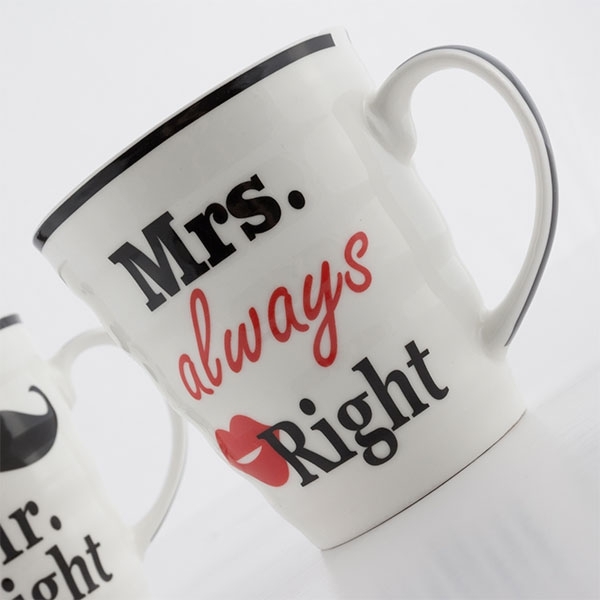 These ceramic mugs are the perfect gift for Weddings, Valentine's Day, Anniversaries, or any other special or romantic occasion. 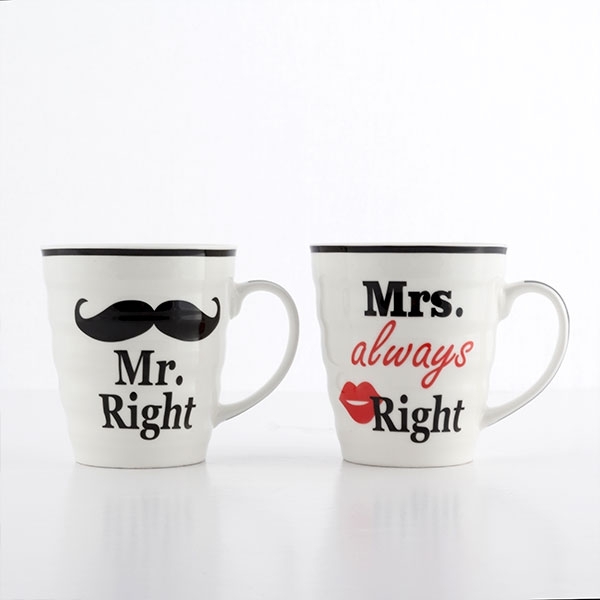 This set contains 2 mugs, one for him and one for her (Mr & Mrs). 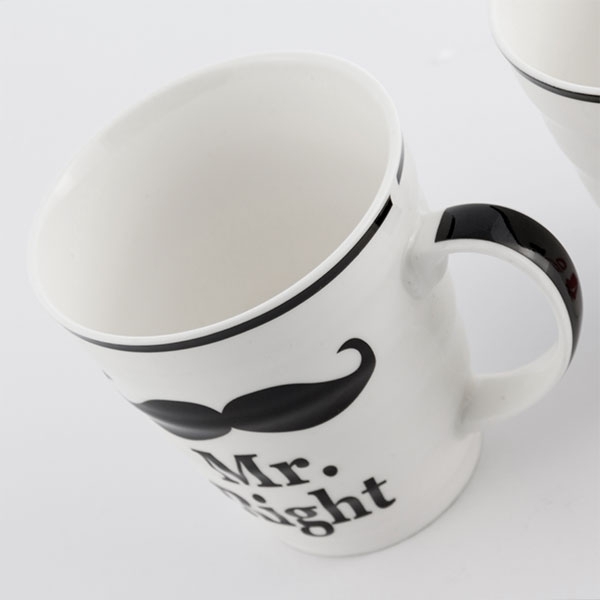 Dimensions (height x diameter): approx. 9.5 x 8.5 cm. Capacity: 250ml.